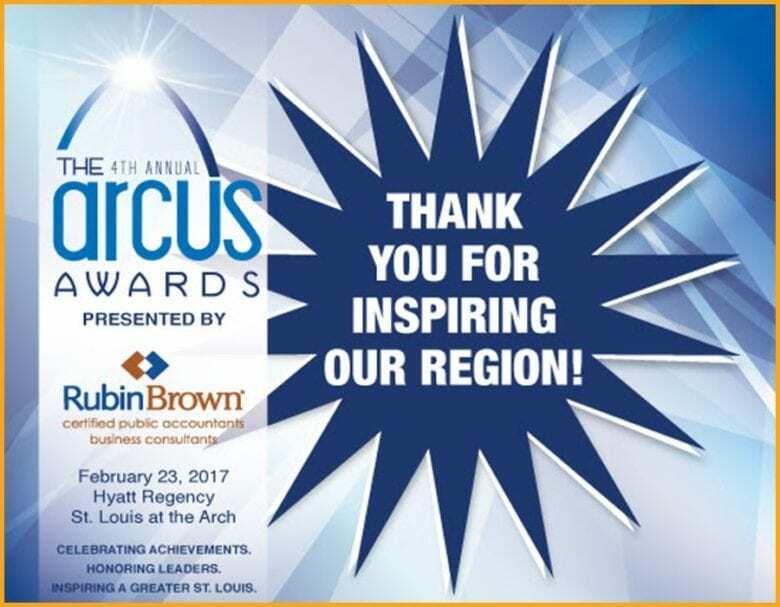 ST. LOUIS, Feb. 23, 2017 – The St. Louis Regional Chamber honored the region’s most inspirational leaders and companies at the 4th Annual Arcus Awards event on Thursday evening. The Academy Awards-style program, presented by RubinBrown LLP, honored the achievements of companies and organizations that are inspiring a greater St. Louis. Over 850 executives, entrepreneurs and civic leaders attended the dinner program at the Hyatt Regency St. Louis at the Arch. Out of hundreds of nominations, a panel of business scholars and executives selected 11 award winners based on their accomplishments reflecting the Chamber’s One Plan for regional prosperity. The categories honor leadership in the region’s strongest industry clusters that have the global potential for growth, organizations that are creating economic opportunity and mobility through greater educational attainment, inclusion and talent attraction and entrepreneurship and innovation, and companies advocating for forward-thinking economic policies. For the second year in a row, additional recognition was given to a winner of the Arcus People’s Choice Award, selected by nearly 18,000 individual votes from across the region. The 4th Annual Arcus Awards winners were Accenture, Saint Louis University School of Law Legal Clinics and ArchCity Defenders, Tioma Therapeutics, Inc., Macroeconomic Advisers, LLC, Advanced ICU Care, AB Mauri North America, Saint Louis University Prison Program, Varsity Tutors, LLC, AGC of Missouri, TheBANK for Edwardsville, Beyond Housing, and WGU Missouri. The Ameren Corporate Citizenship Award for a company making positive changes that impact St. Louisans across the social, cultural and economic spectrum was presented to Accenture. Over the past year, the Accenture St. Louis team has dedicated one week per month to volunteering as part of its global corporate citizenship initiative, Skills to Succeed. The company continued its partnership with LaunchCode helping future coders at LaunchCoderGirl and Mentor Center events. Accenture also works with Covenant House and Better Family Life on job readiness programs and computer lab upgrades. The BMO Harris Bank St. Louis Spirit Award, for advancing St. Louis’ rich history and global reputation as a hub of innovation and forward-looking vision, was shared by Saint Louis University School of Law Legal Clinics and ArchCity Defenders. Following the death of Michael Brown, the SLU civil litigation clinic and ArchCity Defenders worked to expose injustices and a lack of transparency in the region’s municipal court system by filing lawsuits, negotiating settlements and monitoring structural reforms. Through this work, the organizations have made St. Louis a more conscious, just and compassionate region. The Arcus Award for Achievement in Biosciences, sponsored by Bryan Cave LLP, was presented to Tioma Therapeutics, Inc. A thought leader in using immunotherapy to treat a variety of cancers, Tioma has generated a portfolio of antibodies that have the potential to overcome multiple checkpoints by which cancer evades the immune system. Tioma raised a record-breaking $86 million in venture financing last year. The Arcus Award for Achievement in Financial Services, sponsored by Thompson Coburn LLP, was presented to Macroeconomic Advisers, LLC. The economists at Macroeconomic Advisers have earned an international reputation for delivering accurate, nonpartisan evaluations of government economic policies, and for helping traders, portfolio managers and strategists understand market developments. The Arcus Award for Achievement in Health, sponsored by Centene Corporation, was presented to Advanced ICU Care (AICU). One of the nation’s largest providers of high-acuity telemedicine services, AICU helped save over 1,200 lives and reduced patient mortality by 28 percent from expected ICU patient outcomes. The company, which employs 250 in the St. Louis region, is bringing new jobs to St. Louis through expansion with new hospital partners, and new services such as cardiac telemetry. 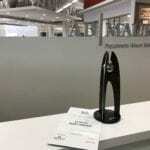 The Arcus Award for Achievement in Logistics, sponsored by Spire, was presented to AB Mauri North America. AB Mauri’s regional headquarters, research bakery and fermentation science laboratory is located in St. Louis’ @4240 building in the Cortex Innovation Community. The company has been providing quality ingredients, process optimization and customized solutions to commercial bakers since Fleischmann’s Yeast was first manufactured in 1868. 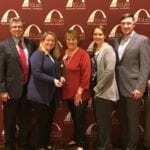 The Arcus Award for Achievement in Educational Attainment, sponsored by STL Communications, Inc., was presented to the Saint Louis University Prison Program. SLU’s Prison Program graduated its first class of students with associate’s degrees in 2015. Its Transition to Employment Program provides pre- and post-release programs for incarcerated persons in the St. Louis City Jail and a workplace health program for correctional officers. Led by SLU’s occupational therapy department, this program capitalizes on more than 20 professional programs at SLU and is the only known program of its type in the U.S. The Arcus Award for Achievement in Entrepreneurship and Innovation, sponsored by Monsanto Company, was presented to Varsity Tutors, LLC. Founded at Washington University in St. Louis in 2007, the company connects students and professionals with in-person tutors in 84 U.S. cities and online tutors nationwide. Customers have accessed more than 1 million hours of live instruction on the platform. Last year, Entrepreneur magazine ranked Varsity Tutors the No. 15 most exciting private company in the U.S. The company has attracted $57 million in venture capital and top talent from St. Louis and beyond, and has plans to add 40 additional local jobs to the 80 already based in the region. 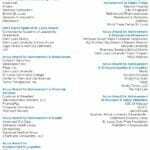 The Arcus Awards for Inclusion and Talent Attraction, sponsored by Express Scripts, recognized innovative inclusion initiatives on both sides of our region with awards to AGC of Missouri and TheBANK of Edwardsville. AGC of Missouri was the first of 92 chapters of AGC of America to hire a Vice President of Inclusion and to create an inclusion department. 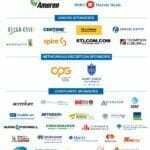 In collaboration with its members and other industry partners, the organization developed a number of initiatives including operating the Construction Careers Center charter high school, supporting the Building Union Diversity program and investing in the Contractor Loan Fund, a $10.6 million private equity fund that provides financing for minority and women-owned businesses. AGC also established relationships with the Father’s Support Center and the Missouri’s Division of Probation and Parole to explore apprenticeship opportunities. TheBANK of Edwardsville opened a fully bilingual banking center inside the Fairmont City, Illinois, public library in 2015. It serves a community that is 70 percent Hispanic and where almost 40 percent of the residents live below the poverty level. Fairmont City had no other banks, forcing the residents to rely on grocery stores and check cashing stores for their financial needs. The town of 2,500 people now has a full-service bank, which received a 2016 Community Commitment Award from the American Bankers Association Foundation in the “nontraditional borrower and the under-banked” category. The Arcus Award for Achievement in Public Policy, sponsored by Edward Jones, was presented to Beyond Housing. Six years ago, Beyond Housing began the “24-1” Initiative, bringing the 24 cities Normandy Schools Collaborative together to identify ways to provide basic municipal services more effectively. The agency uses an “Ask, Align, Act” approach in which community input drives its actions. This effort has resulted in cooperative purchasing, joint funding of community development projects, new forestry services, the merger of Vinita Park and Vinita Terrace, and a pilot project that will consolidate and streamline municipal courts. TheArcus People’s Choice Award, sponsored by RubinBrown LLP, was awarded to WGU Missouri. WGU Missouri is an innovative, online, nonprofit university using a competency-based education model, designed for working adults with some college and no degree. Credits are earned based on evidence of knowledge and skills instead of time spent in class. The university offers more than 50 undergraduate and graduate degree programs in the fields of business, K-12 teacher education, IT, and health professions, including nursing. Statewide enrollment increased from 445 students in February 2013 to 2,231 students in September 2016.